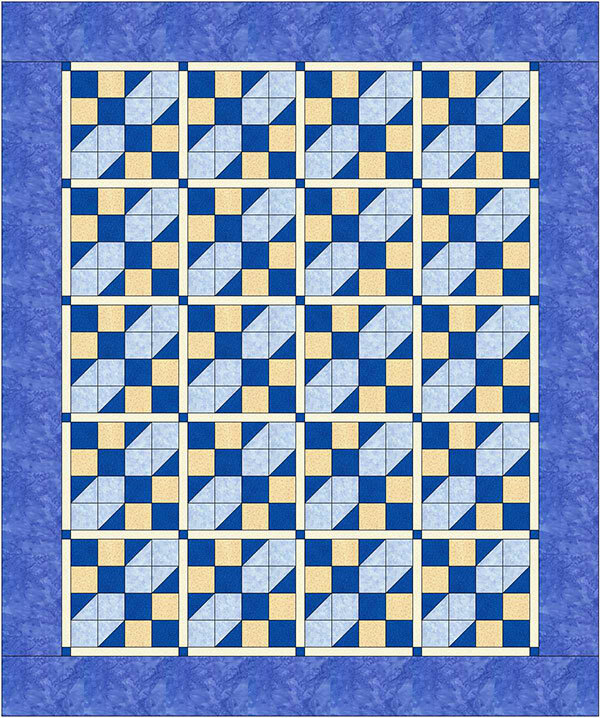 This would have to be a favourite quilt block for me. 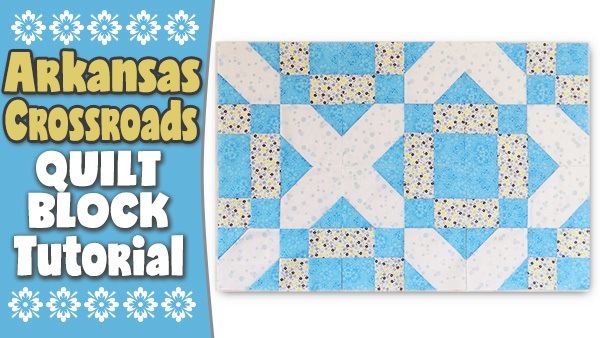 The Arkansas Crossroads Quilt Block is quick and easy to make and looks awesome when you put 6 of them together. It forms two patterns – a cross pattern and a square in a diamond pattern. Watch the video ( or scroll down for written instructions). Take one of the 13″ long strips and lay it face down on top of the other long strip, right sides together. 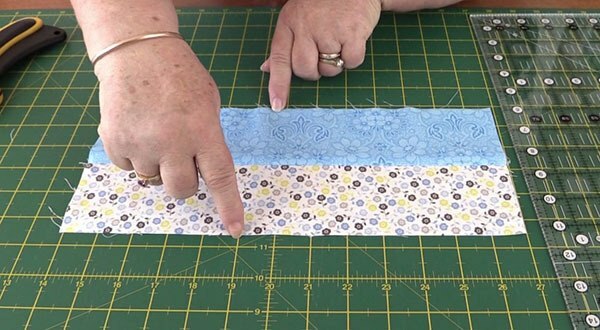 Sew down the long edges on one side with a ¼” seam. Press the seam to the ‘dark side’. 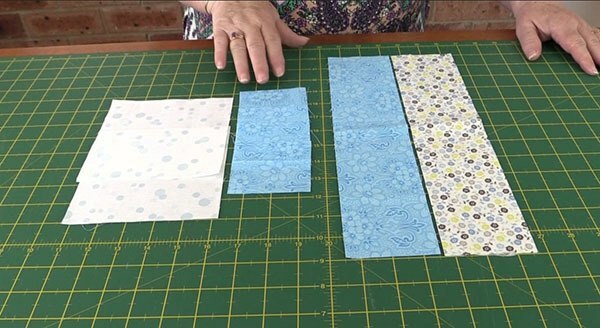 Your strip should now measure 5½” in width. 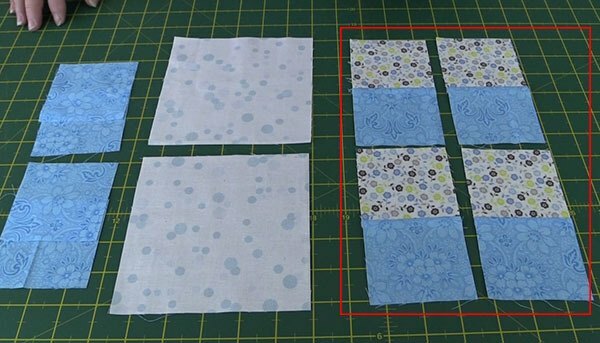 Cut this strip into 3″ blocks. This strip will give you 4 blocks. And here is how your small blocks look once they have been cut. 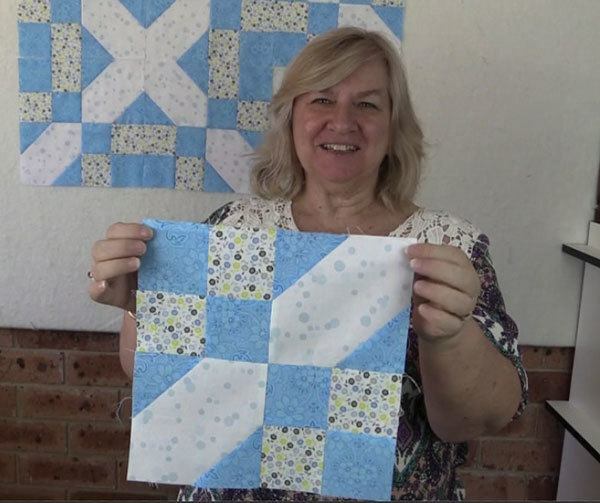 Just put them aside for the moment while we work with the other squares. 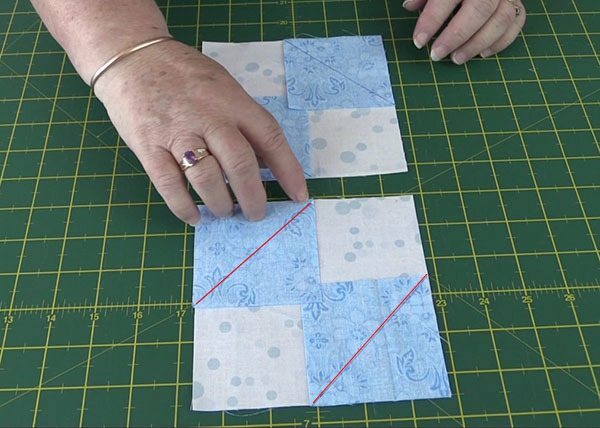 Turn your 3″ squares over so that the wrong side is facing up. 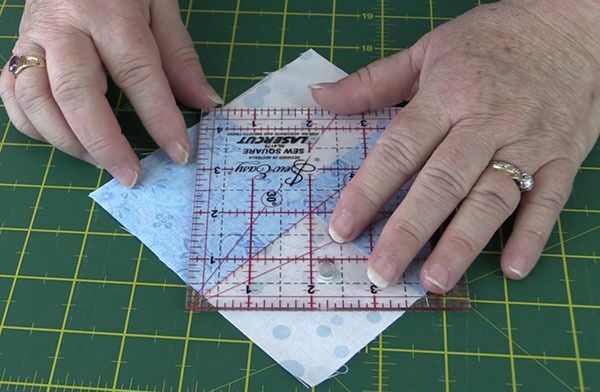 Draw a line with a fabric pen, from one point to the other point diagonally across the square. Do this to all four squares. 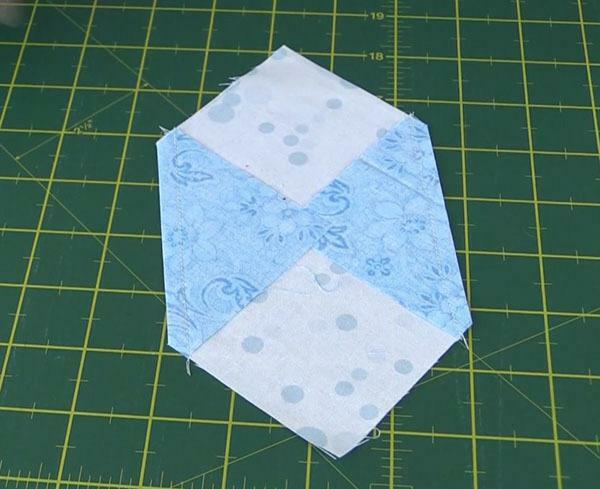 Take one of the 3″ squares and lay it, right sides together, on the corner of one of the 5½” squares. Match the edges and pin in place. Do this to the other edge as well. Repeat on the other square. 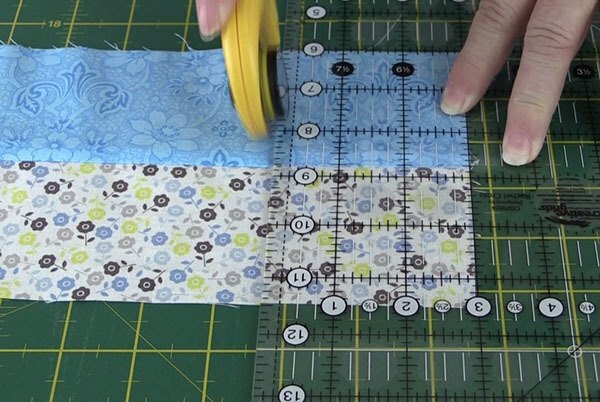 Sew along the diagonal line for each square with a ¼” seam. 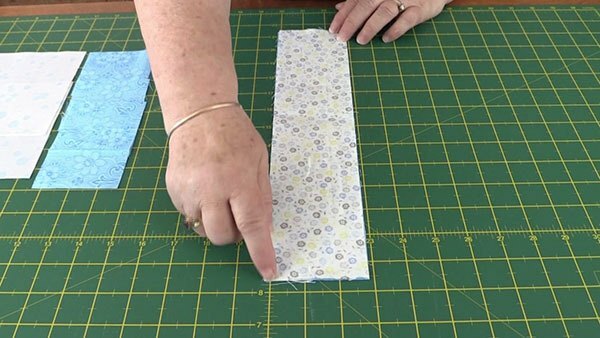 Trim the excess fabric from the corner a ¼” from the seam line. This is how your blocks look now. Open out the triangle pieces and press open. Now we are going to make our 4 patch block. Take the four patches we made earlier and place them on the mat so that you have alternating colours. Do the same for the other two patches. Lay your patches out on the mat. Make sure you have the dark squares running down the middle. 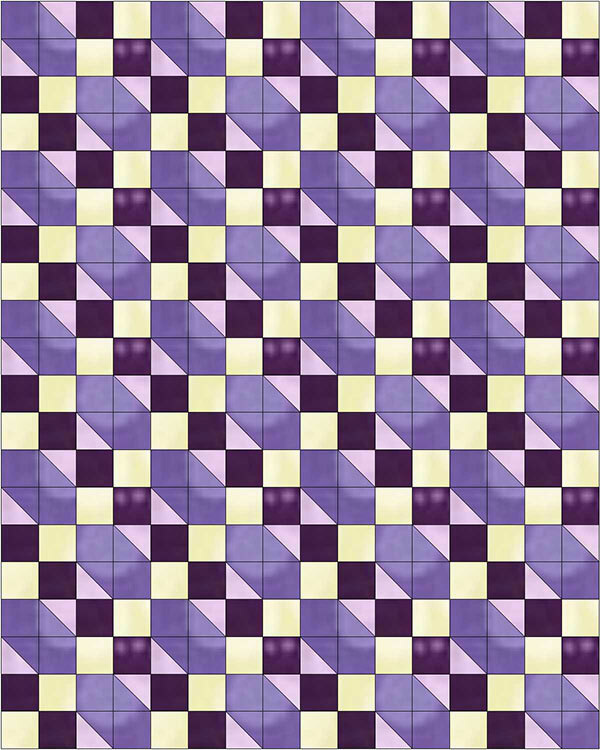 Place the two top squares one on top of the other with right sides facing. Do the same with the bottom two squares. 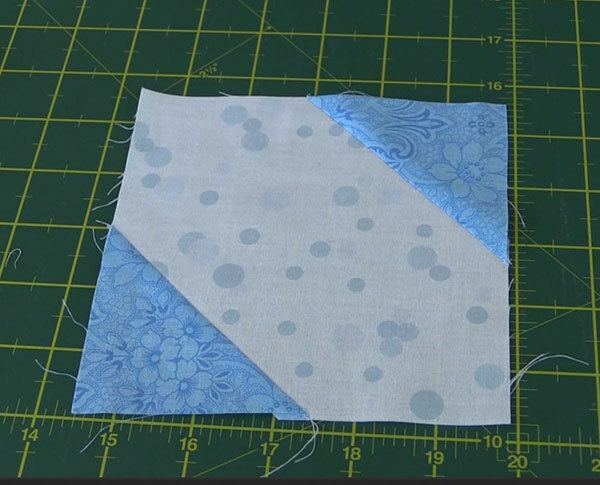 Now lay the two top blocks over the bottom two blocks, right sides together. 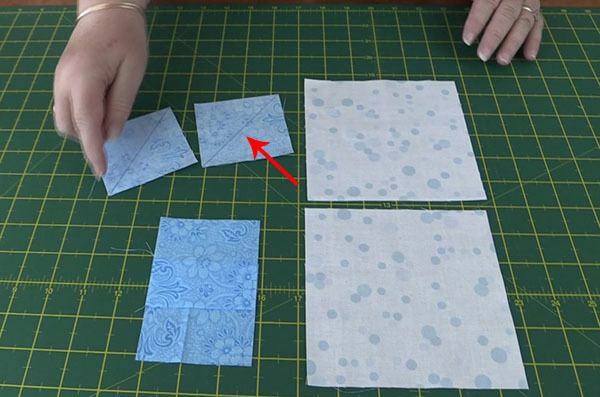 Sew them together with a ¼” seam. Your block is now complete! 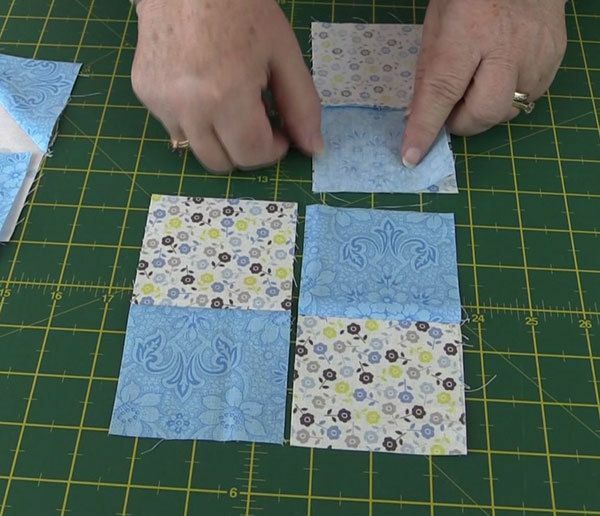 Such a quick way to make this quilt. Thank you for a great tutorial. Thank you for the wonderful tutorial. 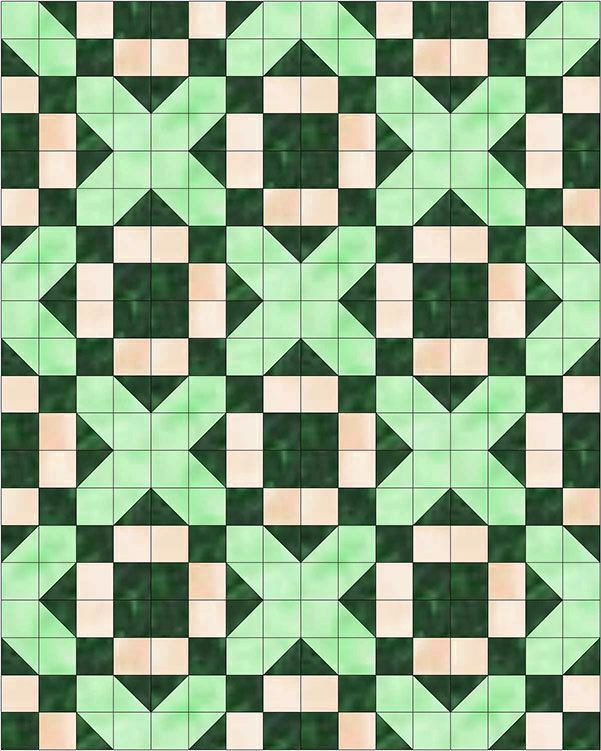 I definitely want to make a quilt using this block! Thank you for your lovely comment Diana. 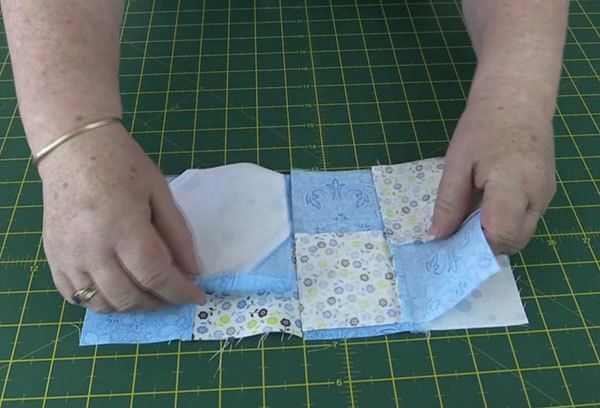 It really is a lovely block and so versatile. It’s one of my favourites. Thank you so much for a really different, unique block! I love the second pattern that evolves. 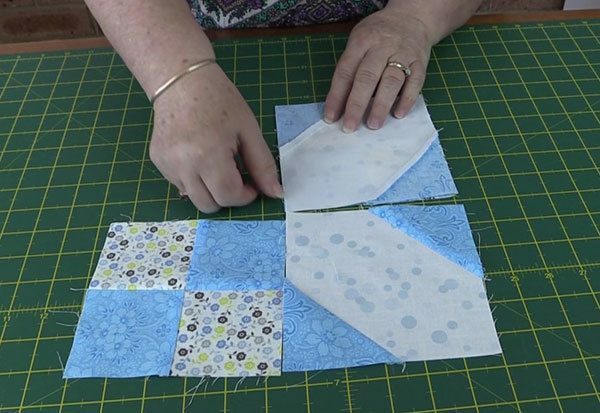 I’m happy you like this block Carol. This is one of my favorites,(along with quite a few others, lol).